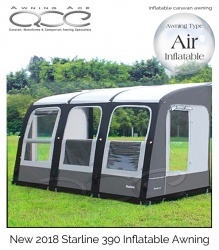 Store Returned - Camptech Starline Inflatable Awning Annexe. 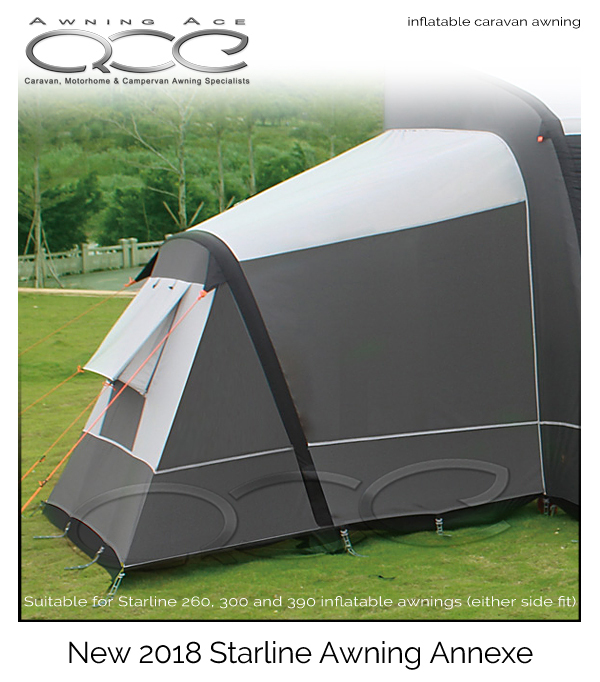 The Starline Inflatable Awning Annexe simply zips onto either side of your Starline Air Awning to provide additional storage or sleeping accommodation. Constructed from the same durable materials as your awning, the annex has a footprint of 220cm x 180cm making it an ideal solution. High visibility guylines are attached and an end panel ventilation system ensures a comfortable internal space. About this store returned item. This awning annex has been returned by a customer who purchased it in error. Although not compatible with the original purchaser's awning (not a Starline awning), the awning has been used and does have some signs of being pitched for a short holiday. We do not know how the customer connected this annex to their awning but the roof has some soil marks predominantly on the inside. This annexe is not supplied with a pump as you would use the pump which was supplied with your awning, the inflation valves are the same quality and type - this annexe comes with a 6 months guarantee. This annexe has obviously been unpacked and used, so please expect the product to have some cosmetic marks and incomplete original packaging. Pegs, ladder bands, and storm straps are supplied with this item. 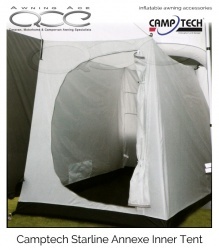 An optional bedroom inner tent is available if required. 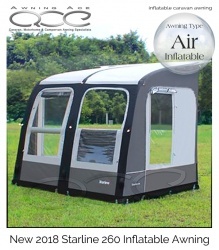 The all new 2018 Starline 390 Air Inflatable caravan porch awning from Camptech. 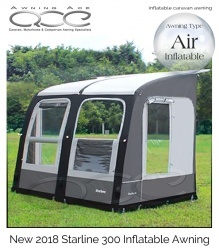 Carefully and considerately designed to provide the very best quality and value for money for the European market; the Starline 390 offers incredible durability and versatility in a very competitively priced package making this the perfect choice for those looking for an affordable yet practical air inflatable porch awning.